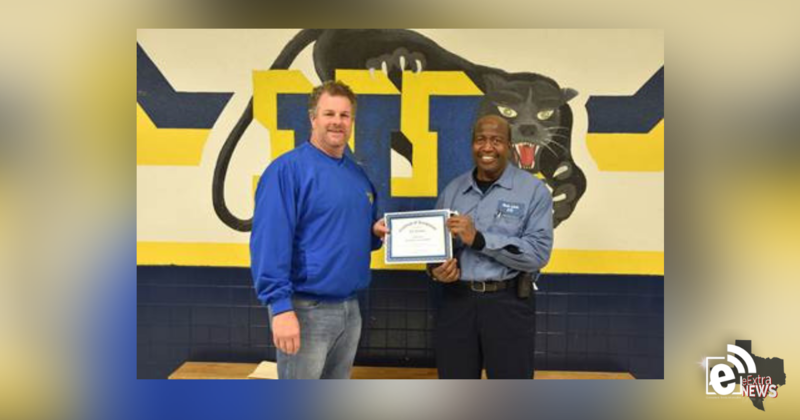 North Lamar Transportation Director Clint Hildreth presented school bus driver Joe Franklin a certificate for November’s School Bus Driver of the Month. North Lamar’s Joe Franklin has been recognized as the school bus driver of the month for November. Franklin has been driving a bus at North Lamar for six years in addition to his custodial duties at Stone Middle School. 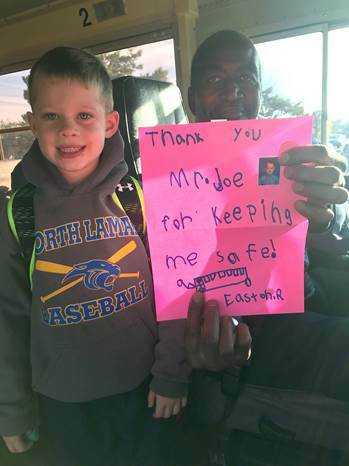 Higgins kindergarten student Easton Reams recently gave North Lamar school bus driver Joe Franklin a handwritten note thanking him for keeping him safe.